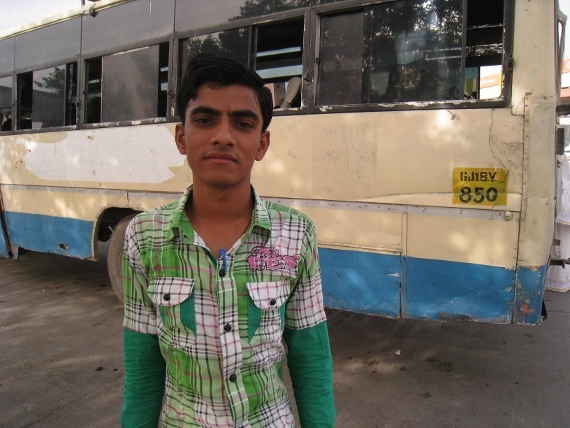 Mangla Ram walks slowly and stiffly thanks to the steel rods inserted in his limbs. A daily wage laborer until a year and half ago, he remains at home meeting occasional visitors. “My body is yet to regain its full strength. I am not sure if it ever will,” he said matter-of-factly. 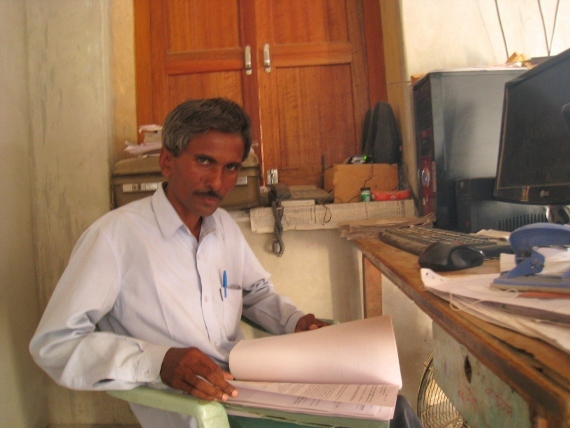 Mangla Ram, 34, personifies India’s struggle for transparency and accountability in governance. That he is in a traumatized state today also reflects the challenges faced by those who are spearheading this struggle. A resident of Bamnor village, located in India’s famous tourist state of Rajasthan, Mangla Ram’s story has traveled far and wide. 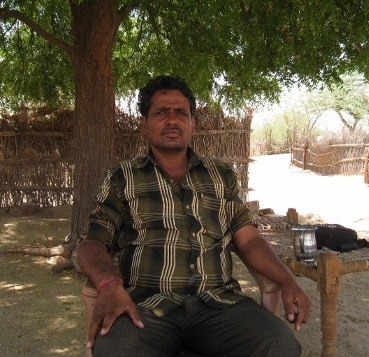 On March 3, 2011, he was brutally beaten up after seeking information about development projects done in the village by using India’s transparency law, the Right To Information (RTI) Act 2005. Mangla Ram accused the sarpanch — an elected village representative — and his supporters for the attack since his efforts had revealed misappropriation of funds by them. Though a report was duly registered by the police, no arrest was made of the sarpanch, supposedly due to his considerable political and religious clout. A special investigation by a team of government officials into the development projects done in the village found glaring wrongdoings and unaccounted money amounting to Rs 361,750 (US$ 6,554). In response, the Principal Secretary — one of the top government officials in this case — passed orders to recover the unaccounted money and begin disciplinary proceedings against those found guilty, but no action has been taken yet. Regarding the attack, the police are still not ready to believe that the sarpanch was involved. “It was Mangla Ram who used filthy language against the sarpanch, whose supporters beat him up,” Santosh Chalke, the then-Superintendent of Police in Barmer, told me in an interview. Mangla Ram’s story is not unique. That the present security set up has been found wanting when it comes to the protection of information seekers is evident from the fact that around a dozen cases of murder and several assaults against those seeking to use the RTI have been reported in the country since 2007. Accusations of blackmail and the registration of false cases are also routinely employed by vested interests to harass RTI users. Those living in rural areas, like Mangla Ram, are easier targets due to the close physical proximity to the accused and their remoteness from police, media and civil society groups. So what are the various stakeholders involved in the transparency movement doing? The Central Information Commission (CIC), the highest appellate authority under the RTI Act, passed a resolution on September 13, 2011, that established the first institutional framework to provide protection to RTI applicants. According to the resolution, if the commission receives a complaint regarding an assault on or murder of an information-seeker, it will examine the pending RTI applications of the victim and order the departments to publish the requested information on their websites. The commission also resolved that it will take proactive steps to ascertain the status of investigations and prosecution of cases involving information-seekers and work to have these processes expedited. However, there has not been a single case for which this provision has been invoked. The courts have also passed several orders directing governments to ensure protection for RTI users. On May 7, 2010, while hearing the murder case of RTI activist Satish Shetty, the Bombay High Court ordered the Maharashtra state government to immediately provide police protection to any person or organization that complains about the threat of the use of force or has been attacked for filing applications under the RTI Act. The High Court also directed the state government to set up provisions for the speedy investigation of cases of threats or attacks against activists and the creation of a monitoring system and a database of activists to aid in their protection, within 90 days. However, the order has not been implemented yet. The states of Punjab and Haryana have come up with respective protection policies for RTI users after Advocate H. C. Arora moved a public interest litigation in the court. RTI Anonymous, a group of citizens working through Get Up for Change, has been protecting RTI users by helping them file proxy applications that offer anonymity and the benefit of distance from the issue at hand. Anybody willing to procure information from any public authority can submit an online request to RTI Anonymous, with his set of questions and details of the department from which the information needs to be sought. A volunteer expert helps draft the application which can then be submitted to the public authority by a volunteer based in India. The volunteers are generally based in cities distant from the location of the authority they are seeking information on so that the likelihood or gravity of possible threats that they may face is reduced. Once a reply is received, the documents are uploaded on the website which can then be downloaded by the original requester. The information is also made publicly available on the website, which helps decrease the level of threat since anybody can access the formerly concealed information. Though the group does receive requests through the mail, most of the people that seek RTI Anonymous’s help use their online platform. Its reach is limited, however, since Internet penetration in India is just 10 percent. Moreover, because of this limitation, their services are not really reaching those who need it the most: India’s rural and poor. On this front, efforts of the Mahiti Adhikar Gujarat Pahel (MAGP) seems to fill the gap, even if only in a limited geographical area of Gujarat. MAGP has been running an RTI helpline since May 12, 2006, which gets around 1,400 calls per month. The helpline’s popularity has spread beyond the geographical boundaries of Gujarat state, which has recorded two of the most brazen fatal attacks, with calls also being registered from the states of Uttar Pradesh, Bihar, Chattisgarh, Rajasthan and Madhya Pradesh. Besides offering guidance about procedures to access information under the RTI Act, the helpline also assists those RTI users who face victimization from vested interests. The State Information Commission is also actively involved in building pressure on the authorities. In fact, in some emergency cases, the commission is approached immediately after a call is received for swift action. A good case in point is that of Michael Martin and Bhanu Parmar. While they were inspecting records and the supply of medicines at a primary health center — after getting permission under the RTI Act — they had to lock themselves in a room to avoid assault by an angry mob. From the room, they called upon the area Deputy Superintendent of Police (DSP), but after not receiving a positive response, got in touch with the MAGP helpline. The helpline staff recorded, transcribed and forwarded their complaint to the State Information Commission. The staff also called upon the area DSP and local police officers. After an hour, a police team arrived and the inspection was completed under police protection. Based on the written complaint of Martin and Parmar, three people from the clinic, including the medical officer were arrested. The case of corruption against the medical officer is pending with the state health commission. Informal community groups have also acted as a deterrent against threats to RTI users. For example, Babu Ram Chauhan, a school teacher in the Ramgarh village in Rajasthan, took on a financially powerful lobby, but when the threats came he had plenty of community support to ward off any opposition. Chauhan’s village is the last settlement where the water from Indira Gandhi Nahar Pariyojana, one of the biggest canal projects in India, is used to irrigate fields and bring greenery to the desert area. The land around the canal is allocated to landless farmers at subsidized rates. However, the land mafia has gained a foothold in the area, which has led to many deserving farmers not being awarded their titles. Chauhan has been using the RTI Act to get the illegal occupations or encroachments removed and he involved the community in his work from the very first day. Around 200 villagers awaiting land allotment contributed money to support Chauhan’s effort. He also trained them in how to file RTI applications and scrutinize the details. The offenders felt threatened and tried to thwart the movement by complaining to the administrative officials, accusing Chauhan of being a spy helping neighboring Pakistan procure maps of the canal area through the RTI Act. The allegations were found to be baseless. During these inquiries, villagers came out in full support of Chauhan. The movement was further strengthened in July 2010 when 30 villagers were allotted land based on information accessed using the RTI Act. Disappointed by the failure of their plan, the land mafia started threatening Chauhan with dire consequences if he went ahead with his work against the illegal occupation of land. Chauhan acted promptly and submitted an application to the Superintendent of Police seeking “on-call security” from the administration. In the application, he named the prime suspect who was asked to sign a statement that he and his supporters would not harm Chauhan. Due to his consistent efforts, the Colonization Commissioner has now accepted the fact that 17,380 hectares of land is vacant and that eligible applicants have not been given their due share. Manu Moudgil is an independent journalist and editor at GOI Monitor, a web magazine on policy issues and grassroots news. blog via Google, and located that it’s really informative. I am going to be careful for brussels. I’ll appreciate in the event you continue this in future.